The best children's picture books are those books that draw you into the story, fascinate you, and invoke an unspoken sense of wonder. They carry you off to far away lands, and invite you in as a welcomed guest. They are the books whose binding is torn, and whose pages are smudged with fingerprints. What makes a picture book "the best", in this sense, is somewhat subjective and yet, often the mere mention of these books can bring back memories. There are so many great children's picture books, that it is arguably hard to limit the choices to just five. Peter Rabbit first came to life in 1893 as a "picture letter" from Beatrix Potter to a little boy who was ill. It wasn't until almost ten years later that Potter decided to publish the book, which at the time was no easy task. She took her story to six publishers-all of whom rejected the manuscript. She eventually did get a publisher to look at it, and the rest is history. More than a century later, Peter Rabbit is still beloved by audiences worldwide. You can visit Peter Rabbit, Farmer MacGregor, and the other bunnies at PeterRabbit.com. "The Very Hungry Caterpillar" has been translated into 47 languages and has sold over 29 million copies. What is it about the simple text and vibrant illustrations that draws children in? Eric Carle books were among the first to feature die cut pages-essentially creating a reading toy that wasn't geared towards babies. Whether it's the unique collage style technique of the illustrations, or the playful die cuts that allow kids to actually enter the story, "The Hungry Caterpillar" has easily earned its place into the top ten best children's picture books. Visit Eric Carle's official home page to find activities for "The Hungry Caterpillar", and a list of Eric Carle's other works. There is a small mouse that can be found in different spots on each page. The clock changes time throughout the story. The light in the room gets darker as the story goes on. If you look carefully, you can find images from "The Runaway Bunny". For careful little observers, there is always something new to find from page to page. More about Margaret Wise Brown can be found on her website. It's hard to compile a list of best children's picture books and not include "wordless storyteller" David Weisner in the list. Relative newcomer to children's books, David Weisner uses pictures to tell a story. For example, in his newest book "Flotsam", readers are engaged in the surreal journey of a boy who finds a camera on the beach and decides to develop the film therein only to discover a world of fantasy right in the ocean! Mermaids, mechanical fish and unique crabs make the story a delight that children will want to "read" again and again. Every page of David Weisner's books beg the admirer to ask, "What is going on here?" and each time come up with a different answer. For a list of all of David Weisner's wordless books, visit David Weisner's page on Houghton Mifflin.com. Hailed for it's incredible illustrations, generations have come to love the main character Max, who decides to go off to become king of the wild things. Brought to life, Sendak's "Where the Wild Things Are" has won the Caldecott, the Boston Horn Globe Award and is also an ALA notable book. Starting in the fall of 2009, "Where the Wild Things Are" can be seen on the big screen in a full-length feature film. While this is a short list of particularly notable books, the truth is there are many, many fantastic picture books for children. 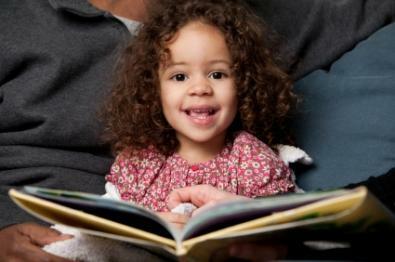 What makes a book the best book is when your children ask to have it read over and over again.